"Appy Not Angry At Albyn"
"Beautiful Rooms and Amazing Service"
"A Treasure Tucked Away From The Busy City"
"Uh, that's about it. 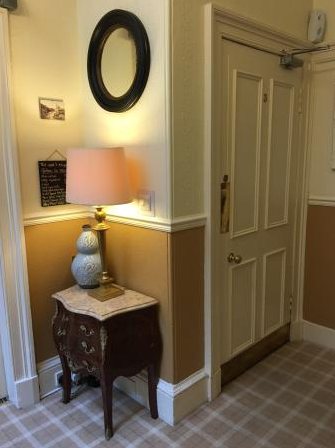 Why not send us an E-mail or give us a call"
We offer homely bedrooms, award winning breakfasts and a welcoming team in a Victorian house formerly the St Oswalds Church Manse. 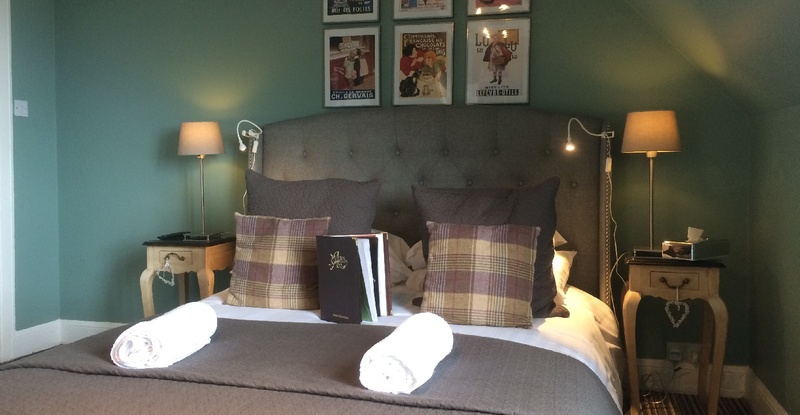 Albyn Townhouse offers a relaxing retreat a short distance from Edinburgh’s Old Town. The Albyn is run by ourselves, Lydie, David, Charlotte, Louis, Elliott and Betty the crazy Cocker Spaniel…We arrived here in July 2007 and started to give life back to the house, with beautiful strong colours and carefully selected furniture & decoration. We love our house and take great care in making sure that you are as comfortable as we would like to be and this means a good night’s sleep. 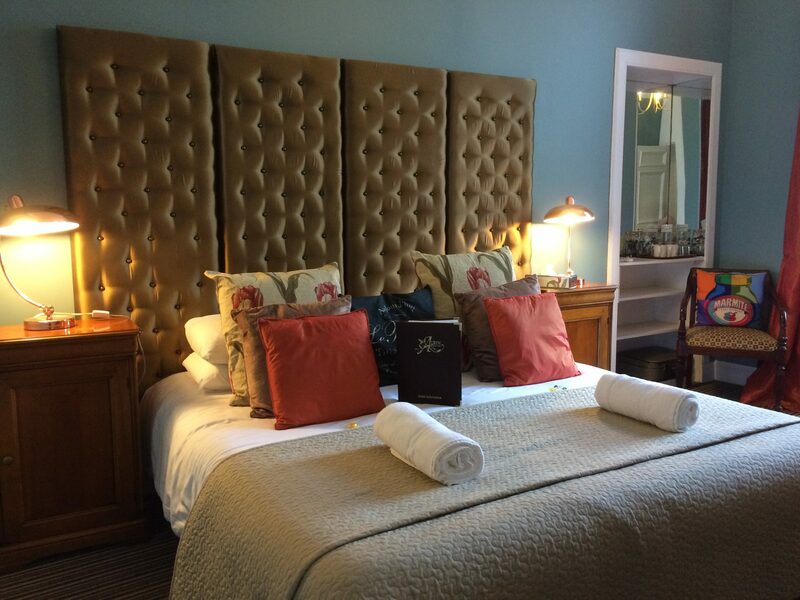 The Edinburgh Albyn Townhouse offers bed and breakfast accommodation in 10 non-smoking & fully en-suite rooms. 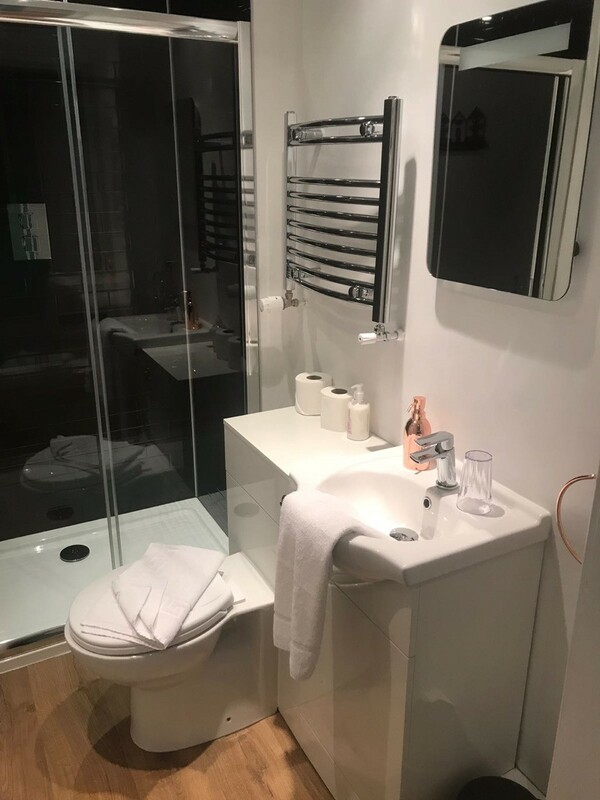 Our guest house is comfortable, clean, centrally heated & the accommodation is over three floors, with free WiFi, flat screen Freeview & radio Tv’s, tea and coffee making facilities, hairdryer. Ironing facilities are available on request. 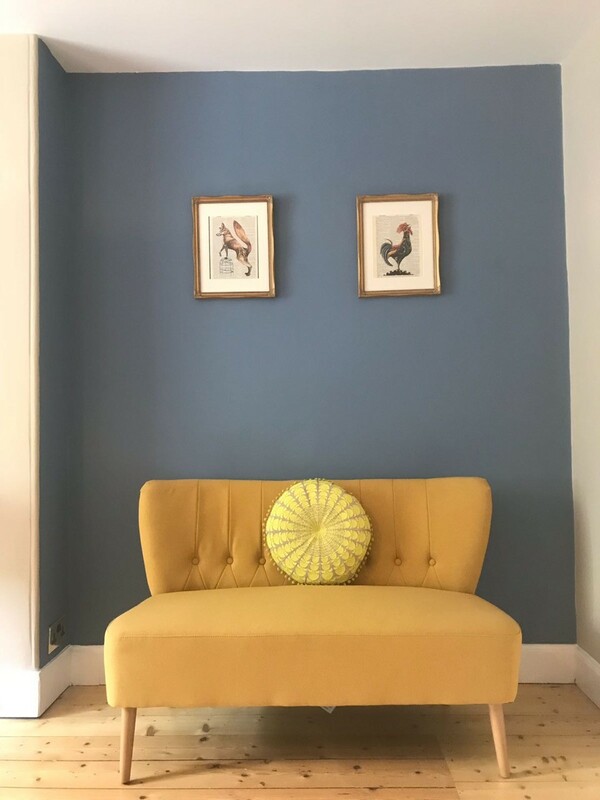 We have one baby cot available on request, suitable for Superior rooms only (not for King rooms), a high chair will be provided also for breakfast. Our accommodation is as follows; 1 Family en-suite room (2 adults & 2 children) located on the first floor, with one king size bed and two pull out low level small single beds, this family room can accommodate 2 people, in which case it becomes a suite with a large sitting area. This accommodation has it’s own bathroom with a shower, toilet and basin. 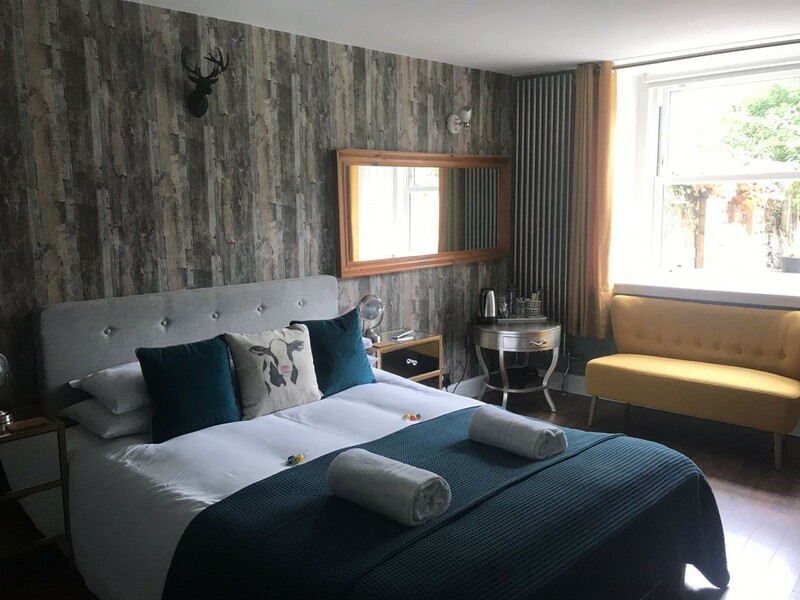 2 Superior Double king or twin en-suite rooms, one located on the first floor and one on the ground floor, with a super king size bed or two single beds, this is a more spacious room with a sofa area. Each accommodation has it’s own bathroom with a shower, toilet and basin. 3 Double king en-suite rooms, two are located on the second floor and one is on the first floor, with one king size bed, this room is a standard size with a small sitting area. Each accommodation has it’s own bathroom with a shower, toilet and basin. 3 Superior Double king, one located on the first floor and two located on the second floor, with one king size bed, this room is more spacious and has a sofa area. Each accommodation has it’s own bathroom with a shower, toilet and basin. Although children are welcome, you must reserve a bed for them, no children in a parent’s bed. We regret that we will turn away any customers bringing additional people and exceeding the maximum room occupancy. Please bear in mind that the Albyn Townhouse was built in the 19th century, therefore there is no elevator!! 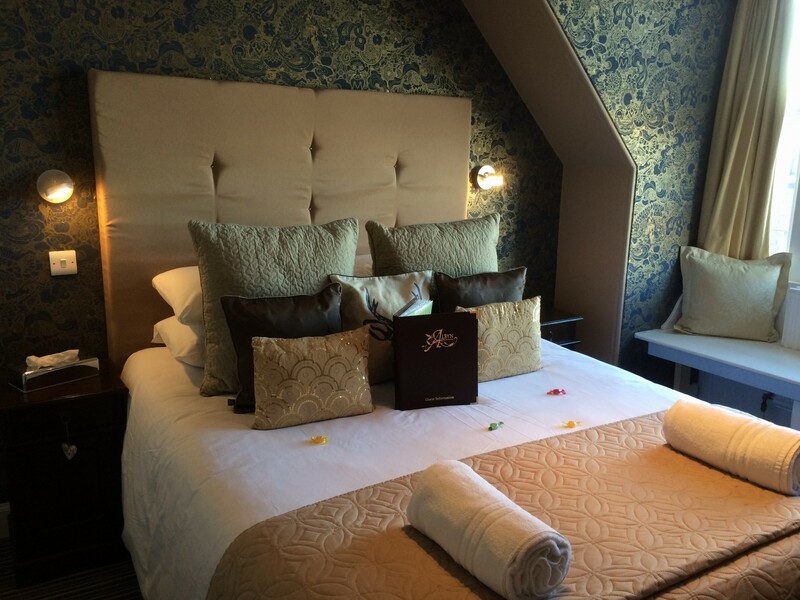 Our rooms are over three floors so please let us know at the time of booking if you cannot do stairs!! As much as we adore our furry friends, sorry no pets allowed at the Albyn, thank you. 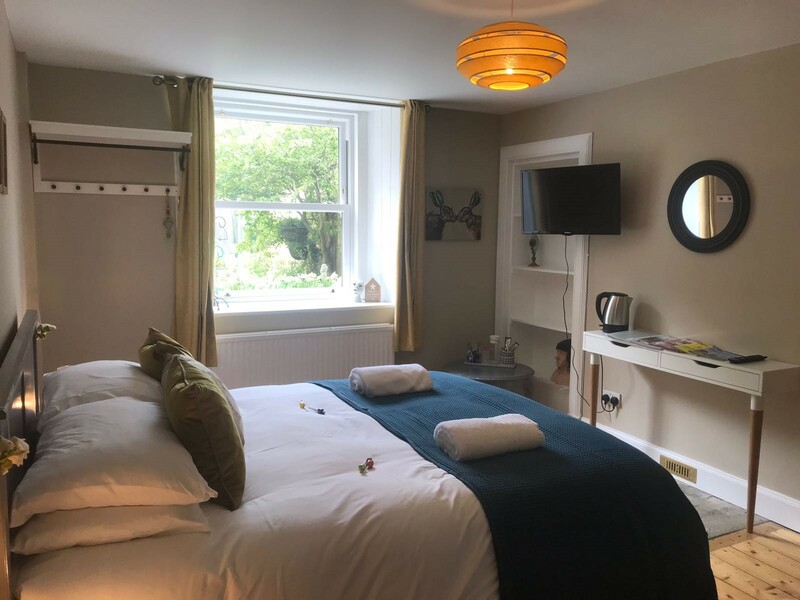 Standard King room, with a king size bed (1.5 wide x 2m tall), sitting area and en-suite shower room with toilet (2x2m), flat screen TV with digital television, free wifi and tea and coffee facilities, incl continental or full breakfast. King size bed and en-suite shower room with toilet, the room can be set up as a twin and has flat screen TV with digital television, free wifi, sitting area and tea and coffee facilities. Please specify bed preference on booking. 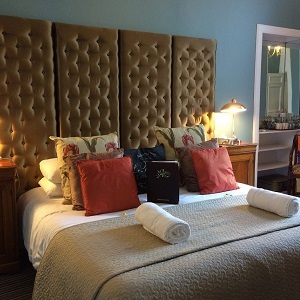 Superior King room, with a king size bed (1.5m wide x 2m tall) & en-suite shower room & toilet (2x2m), flat screen TV with digital television, free wifi, sofa area and tea and coffee facilities, incl continental or full breakfast. 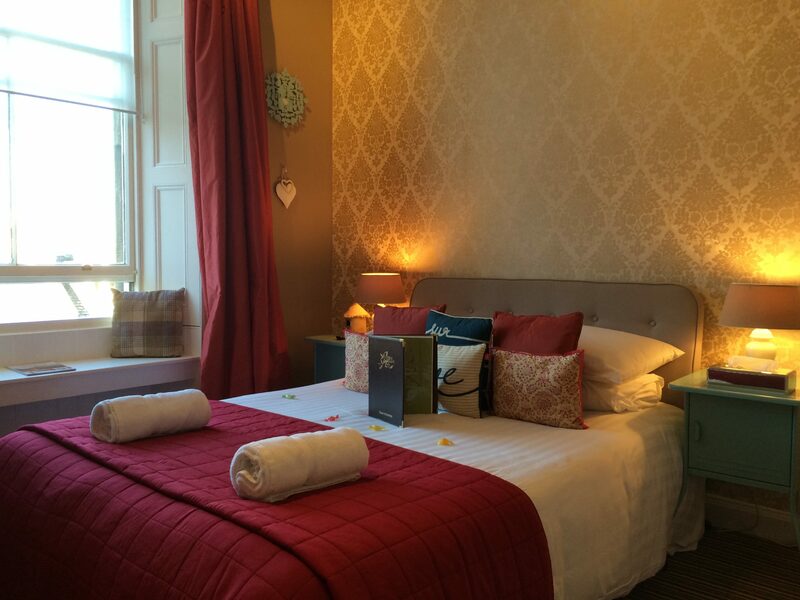 Our beautiful Edinburgh guest house offers a freshly cooked Scottish breakfast, we serve meat eaters, veggies, vegans and gluten free. As much as possible we use locally sourced products, free-range eggs from Stirlingshire, Bacon from Perthshire, local butcher sausages, Macsween Haggis and Black pudding, Milk and cheeses, we also offer a lot of homemade goods in our menu and on the buffet. Breakfast is served from 7.45am – 9.00am, Mondays to Fridays and from 8.45am – 10.00am, Saturdays, Sundays. A continental Early Bird is also available for those who require to set off earlier than these times, please order before 5pm the day before. On the Buffet: fruit juices, milk, cereals, muesli, mixers, fresh fruits. Homemade cakes and biscuits, homemade jams & our family recipe homemade Compote, Rye bread, oatcakes and cheeses are also available. Porridge is also served on request. 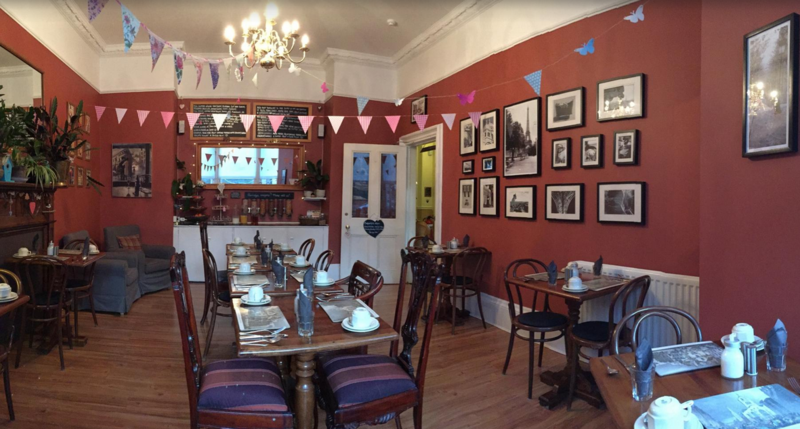 Coffee & a wide selection of teas, toasts will be offered as well as one choice from our 12 Breakfasts, cooked for you on demand. Full Scottish (fried, scrambled or poached) free-range egg, butcher sausage, Perthshire bacon, mushrooms, Macsween Haggis, Black Pudding and tomato. The Veggie (fried, scrambled or poached) free-range egg, Macsween veggie haggis, mushrooms and tomato. Chives Pancake (homemade chive pancake) with free-range scrambled eggs and melted Cheddar. Vanilla Pancakes (homemade pancakes) served with cream and a choice of either Chocolate, maple syrup or toffee sauce. Omelette made with free-range eggs with cheese and/or mushrooms. Bacon and free-range eggs, fried, scrambled or poached eggs and Perthshire bacon. Granola; homemade fruit compote topped with granola crunchy fruit cereals, covered with Greek yogurt and sliced fresh fruits. Full vegan; veggie sausage, hash browns, Macsween veggie Haggis, mushrooms, and tomato. Vegan Granola; homemade fruit compote with crunchy fruity cereals topped with soya milk and fresh fruits. Vegan vanilla pancakes: homemade vegan pancakes with a choice of either Chocolate, maple syrup or toffee sauce. Full GF Scottish (fried, scrambled or poached) free-range egg, Gluten free butcher sausage, Baked beans, mushrooms and tomato. Beans and free-range eggs of your choice on GF toast. Free Internet Access (Wireless) in all rooms. Have a seat in the Garden Room! Awarded the Visit Scotland Taste Our Best Award for Quality and Produce. 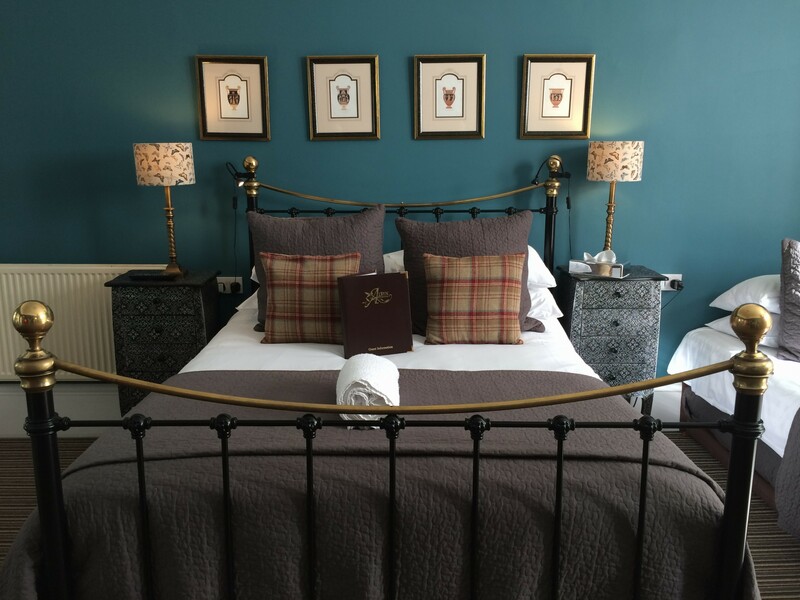 Read the review the Albyn Townhouse received on the Telegraph’s Travel website – The best bed and breakfasts in Edinburgh. 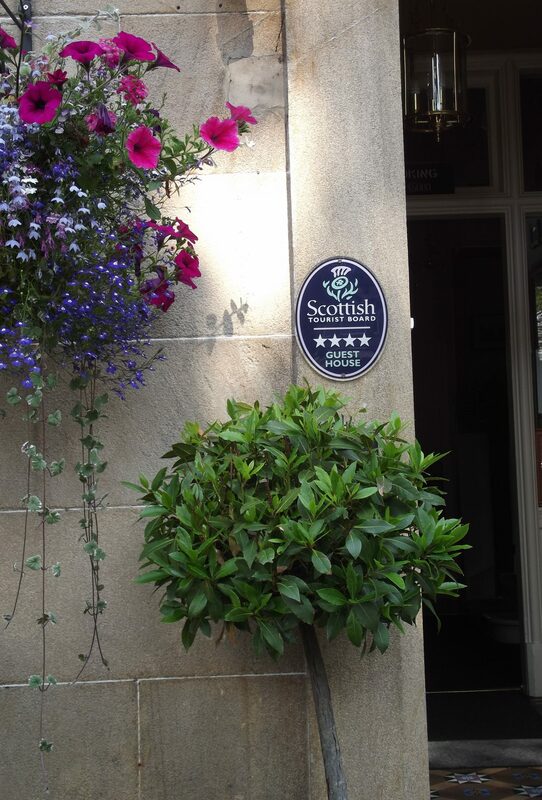 Awarded Visit Scotland 4 Star Gold for excellence in quality and service. Read the review received from USA Today 10 Best Travel website – No. 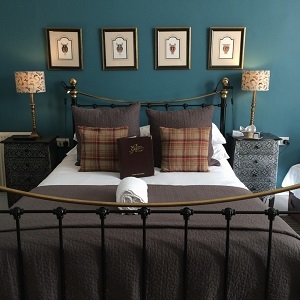 8 in the Top Ten best bed and breakfasts in Edinburgh. Entered into the Trip Advisor Hall of Fame – Five times winner of The Certificate of Excellence 5 Stars. Winner of the Certificate of Excellence 2017 – 7 times winner of The Certificate of Excellence 5 Stars. 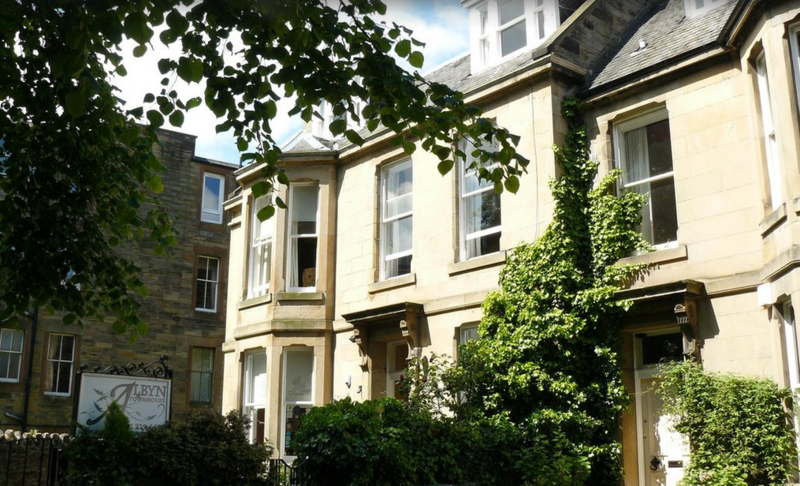 Read the review the Albyn Townhouse received on the Daily Mail Travel website – Our pick of Edinburgh’s best B&Bs. Real guests. Real stays. Real opinions. Voted Exceptional by Booking.com customers 9.5 out of 10!! The Award recognises the best hotels around the world based on reviews by journalists and professional travel writers. 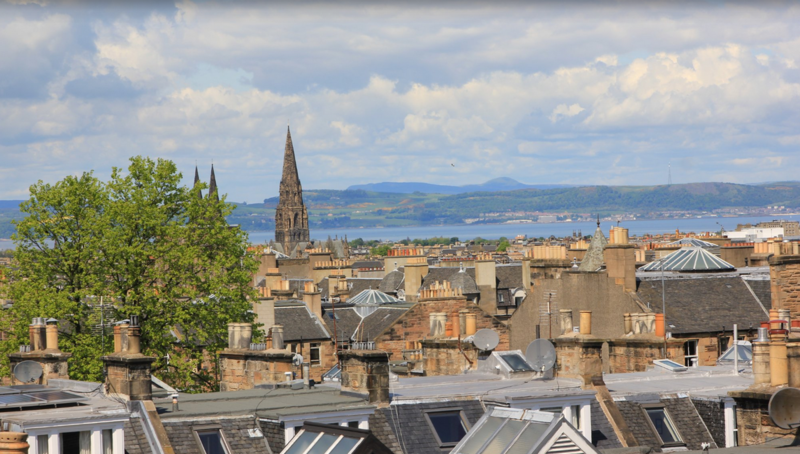 from which we are around 15 minutes, Do not miss; the Edinburgh Castle and the Royal Mile, where the main attractions of the summer (August), Edinburgh Tattoo and The International Festival take place. the Scotch whisky centre, where the art of Scotch whisky unfolds at the Scotch Whisky Experience, close to it the Camera Obscura will give you a spectacular 360° rooftop panoramas, check them out Camera Obscura. Holyrood Palace, Dynamic Earth, The Royal Scottish Museum, The Royal Yacht Britannia or places like Princes Street, Rose Street, The Dean Village and the Grassmarket are some of the numerous other curiosities of our city, to know more about these, please contact Edinburgh Tourist Office. 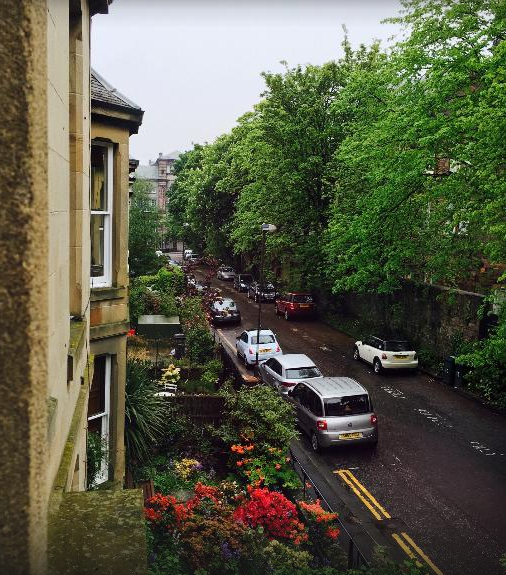 The Hudson’s family 30 favourite things to do in Edinburgh. 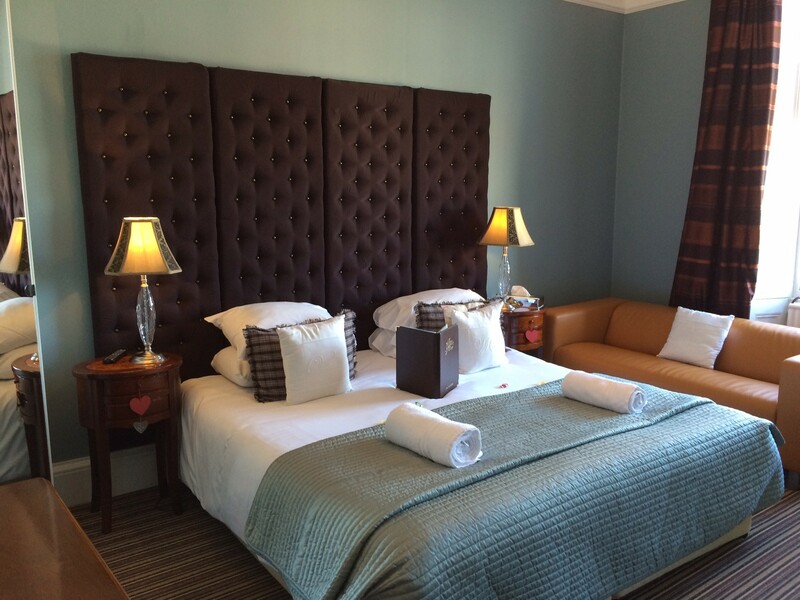 Stay with us at the Albyn. Have Haggis at breakfast & finish it…..I dare you! Do a walking tour of the Medieval city. Visit the Mary King’s close. Walk the Royal Mile and find the hidden courtyards and gardens through the old closes. Roll a hill in the Meadows Park. Walk along the water of Leith from Dean village to Stockbridge and go to the Stockbridge Market (sun 9am to 5pm). Go and meet Greyfriars Bobby and walk around the Kirkyard. Visit South Queensferry, my favourite village, walk around and have fresh fish & chips and cakes at the Rail Bridge Cafe at the foot of the Red Forth Rail Bridge; Take the bus x55 from Queensferry street, 30 min. Visit Edinburgh Castle and see the Crown Jewels. Take a city Tour Bus around Edinburgh. Have lunch in Victoria Street. Have an afternoon tea at the Howard in the New Town (Great King street.) or the Signet Library (Parliament Square). Visit Rosslyn Chapel, take bus 37 from Princes street. Get some cheese from Mellis in Victoria Street. 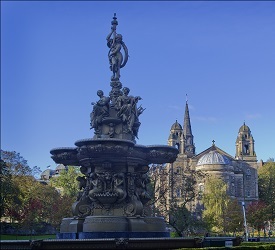 Join a underground walking tour near the St Giles Cathedral. 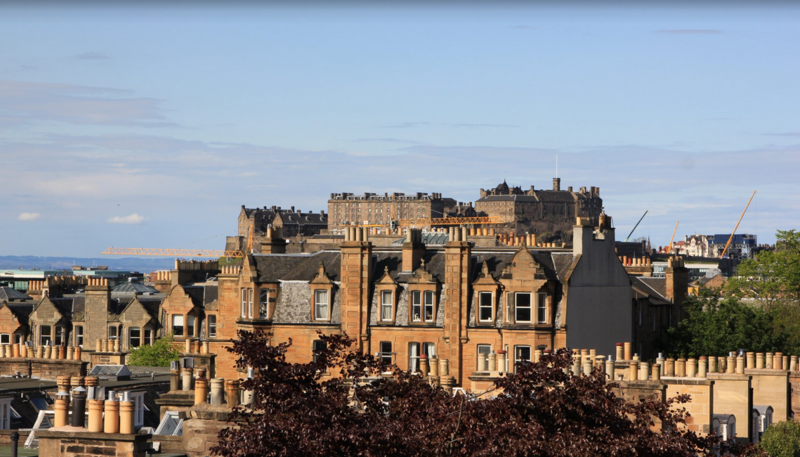 Walk up Carlton Hill, via Waterloo Place, and enjoy the view! Taste lots of Whiskies at the Bow Bar in Victoria street. Listen to folk music and experience the real Edinburgh people at the Sandy Bells on Forest road. Have a pulled pork sandwich at Oink in Victoria street….Yummmmmmm. Get some fresh Fudge from the Fudge House down in the Canongate. Take a Black cab (for the sake of it!). Walk around the New Town and soak up the beauty of the Architecture. Go to the National Museum of Scotland in Chamber street. Go to the Botanic Gardens, bus 23. Have a game of Golf on Bruntsfield link and get your Clubs and your pint at the Golf Tavern circa 1456!! 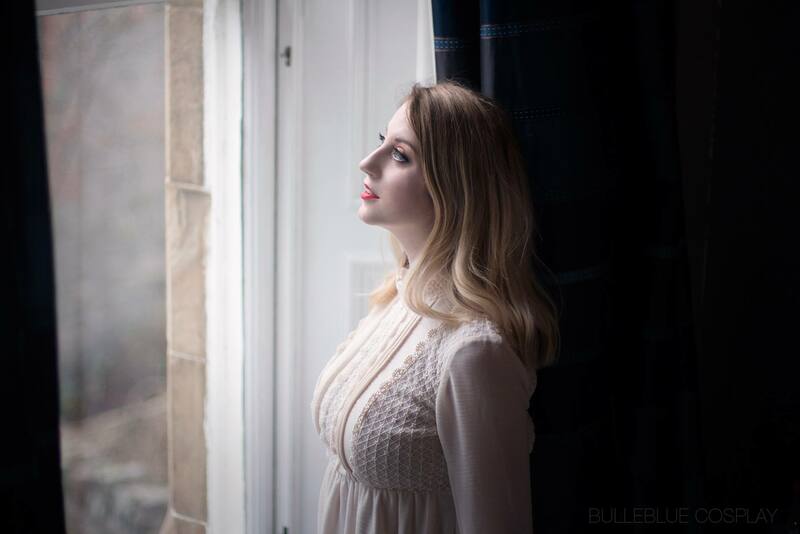 Go and listen to live music in the Grassmarket, Thursdays to Saturdays. Walk along Portobello Beach (bus 15) and have an ice cream at the Beach House. 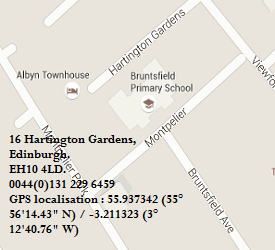 Plan a 3 hour walk up to Arthur Seat, make it to The Sheeps Heid in Duddingston Village for lunch. Browse around the charity shops down in Morningside and if you want more (!!) in Stockbridge. Download your copy of things to do HERE!! Book an Edinburgh tour, or city ghost tour from our Guest House and after taking one of the many historical or ghost tours on offer in Edinburgh, why not explore a little bit out of town to the wilds of the Highlands, we can recommend a few companies who we work with on a regular basis, check out what they can offer and book online direct. Do not miss Edinburgh’s ghost bus tour The Ghost Bus Tours or take a tour around the city Edinburgh Tours. For the tours in the Highlands; Grayline Tours they will pick you up at the guest house, Timberbrush Tours; heart of Scotland Tours; Rabbies. All these tours have been tried and tested by our customers and ourselves!!! Voila, now you have a better idea! No charge will be made to your card (If you have reserved on our website) it acts solely as a guarantee, payment is due on arrival or during our afternoon reception times prior to your departure as it can be difficult to process payments during our busy breakfast; preferred payment is Cash (2% discount), we also accept UK cheques, Card payments can only be processed with the card used to guarantee your reservation, the card is processed via Stripe (card payments no less than £100.00, exchange rates are set by your bank, we are not liable for any dispute over currency rates) we may authorise your card prior to arrival for the full amount of your stay, The issue of card details to confirm a booking constitutes a legal contract between the Albyn and the booker. To avoid any card charges we now offer prepayment option by Bank transfer (request our bank details if you wish to pay this way, allow 7 days, for UK residents only). If you have reserved through a booking agent. Your reservation is an advance booking, as per T&C’s, the full fee of your reservation is paid on booking in the currency of the booker (payment is taken using Stripe), exchange rates are set by your bank, we are not liable for any dispute over currency rates. Your payment is non-refundable, changeable or transferable. Please contact your agent on-line should you have any questions. The issue of card details to confirm a booking constitutes a legal contract between the Albyn and the booker. These terms and conditions apply without exception. Please note that all extras incurred during your stay, must be paid by cash, no card payments on extras. Out of theses hours? please get in touch to request a self check-in code to let yourself in. If you have not been in touch, you will automatically receive this by SMS, do make sure that your mobile is up to date with the right country code. Luggage can be left with us (free, non-secure facility, no WC available) from 9.30am week & 10.30am week-end, no later than 8pm, no left luggage overnight. 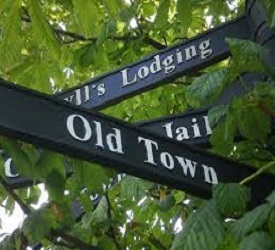 Parking Add £5.00 per night, car check in 10.30am, check out 10.30am. no booking, no parking! Payable by cash only on arrival. unused parking will still be charged as we hold it for you, there is very limited availability, we will explain alternatives if we are fully booked. Don’t want to book parking with us, please check the following link: Need Directions. Please let us know or visit directions above. 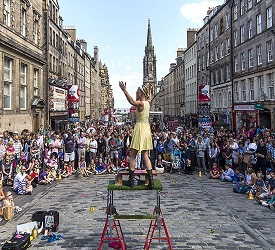 Minimum stays apply at Weekends, Rugby Internationals, Edinburgh festivals and special events. Please note that we are unable to accept group bookings of more that 2 rooms (Max: 4 Persons). We do not accept hen and/or stag parties. Sorry pet lovers we don’t accept your furry friend!! Doesn’t mean we don’t love them..ask Betty!! 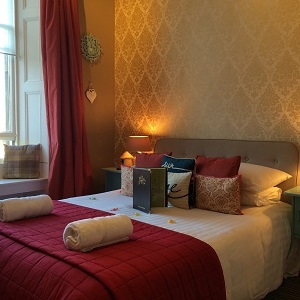 Small en-suite double room, for single occupancy only, including Breakfast. Double King en-suite room, including breakfast. Superior Double or Twin en-suite room, including breakfast. Superior Double en-suite room, including breakfast. Family en-suite room, including breakfast. Sleeps 2, 3 or 4 people. To check availability and make a booking click the BOOK NOW button or contact us directly to discuss your requirements. If you are having any issues navigating our site or any issues with the booking process watch the video HERE! To confirm your booking, a valid credit or debit card is required.